Letové prevádzkové služby, š.p. (LPS) streamline events management and infrastructure records employing a new Operation Information System. Higher quality and efficiency of ICT services in Slovenské elektrárne using PosAm Servio solution. Application support solution for IT Service Management, Work Force Management and Facility Management, which combined business, technical and customer needs in a harmonious unit. PosAm Servio is advanced tool of managed services (IT Service Management). 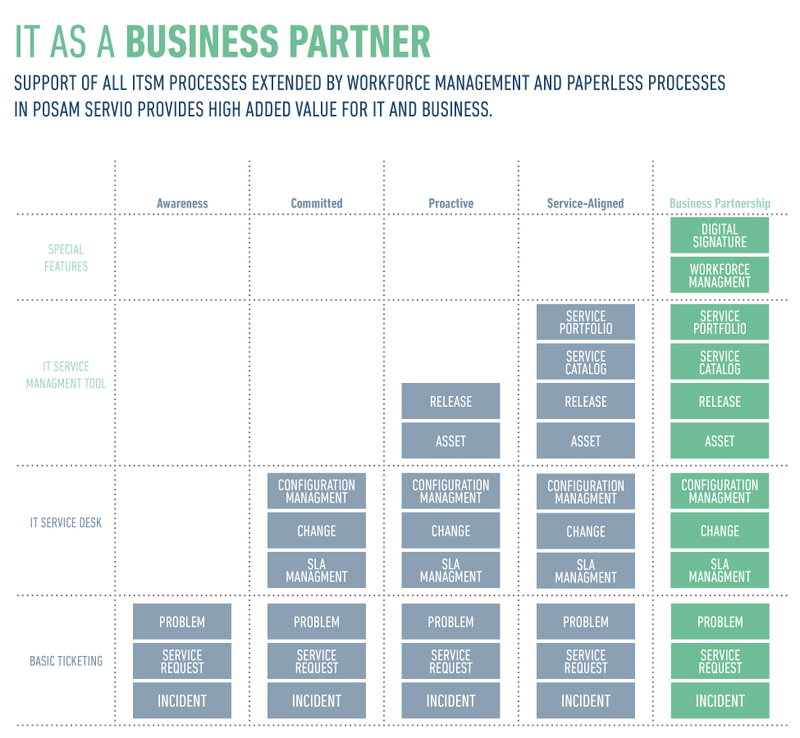 It supports functions of a standard Service desk in terms of ITIL®. Morover, it provides complete support of Workforce and Facility management. It allows management of on-site personnel and management of technical infrastructure using end devices with access to mobile networks. For implementation of this solution in corporate environment, PosAm uses long-term practical experience in creation of service desks and provision of managed IT services. PosAm Servio assists IT departments in providing quality services. Their managers will gain a tool for efficient service management within the whole life cycle. Clarification and automation of processes, or increase of response flexibility are just a few of the solution benefits increasing quality of services and user satisfaction.